I was so impressed by the Town of Stowe. 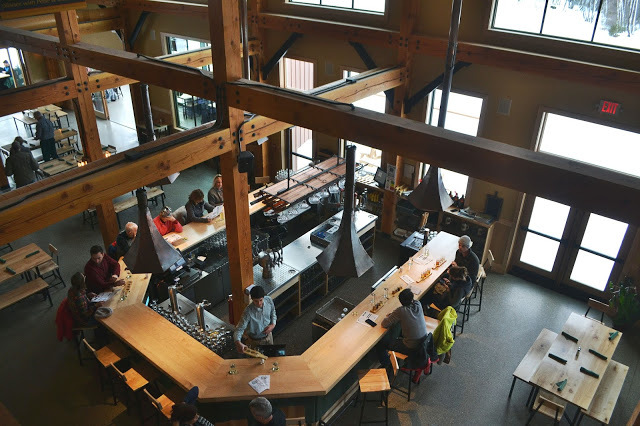 From breweries, cideries and coffee shops to restaurants, general stores and recreation paths, there is more to this town than the namesake ski mountain. 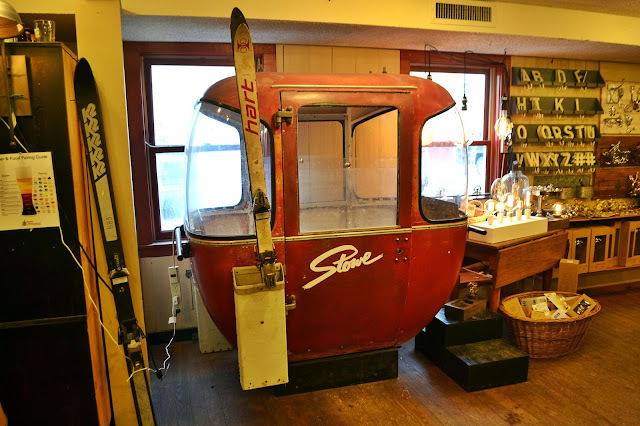 Stowe is a historic mountain town with so many awesome attractions. 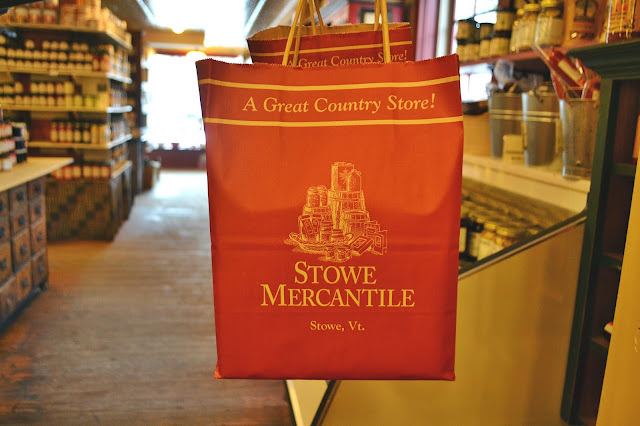 Stowe prides themselves in combining a 200 year old Village with Vermont's highest peak. As far as ski towns go, this was one of my favorites in the East (Park City, UT stole a little piece of my heart while I lived out west). I was lucky enough to get a tour of the town by someone who has spent nearly every winter there. It worked; in one weekend I was able to get a quick tour of the town, eating, drinking, and shopping my way around the best spots in town. 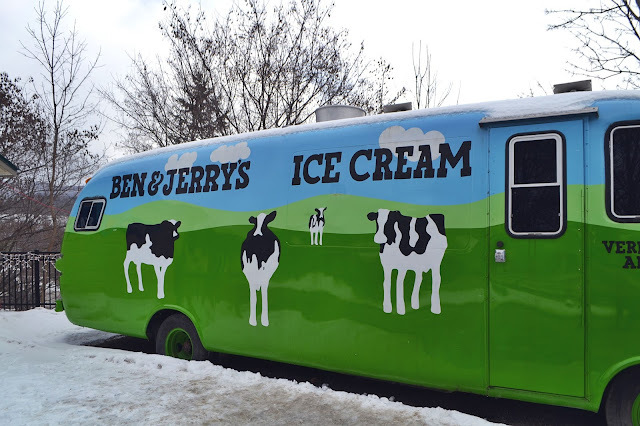 While not in Stowe, the best way to end any Stowe weekend is a stop at Ben & Jerry's. It does not matter the season, it is always time for Chunky Monkey, Cherry Garcia, and Phish Food. 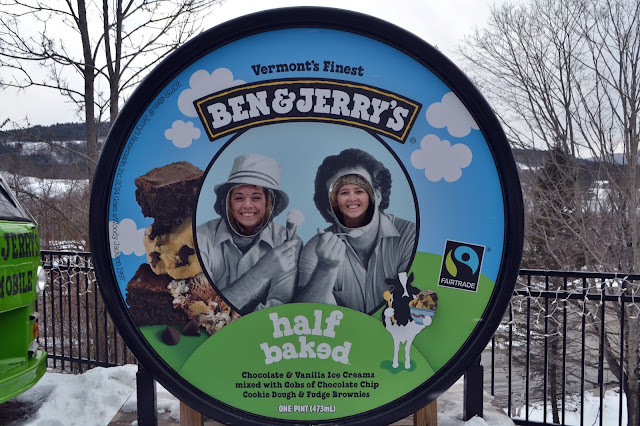 It feels sacrilegious to head to northern Vermont without a stop at the mecca of ice cream and a chance to snap a cheesy photo in the photo prop. Of course this is the main reason to visit Stowe, especially in the winter. 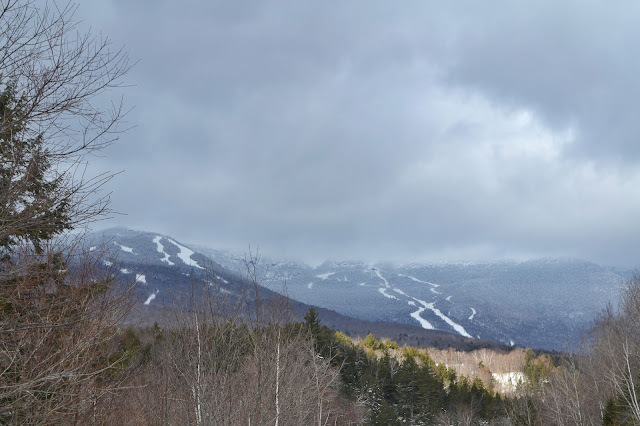 I wrote a post about my day skiing Stowe and you can read all about the mountain resort HERE. 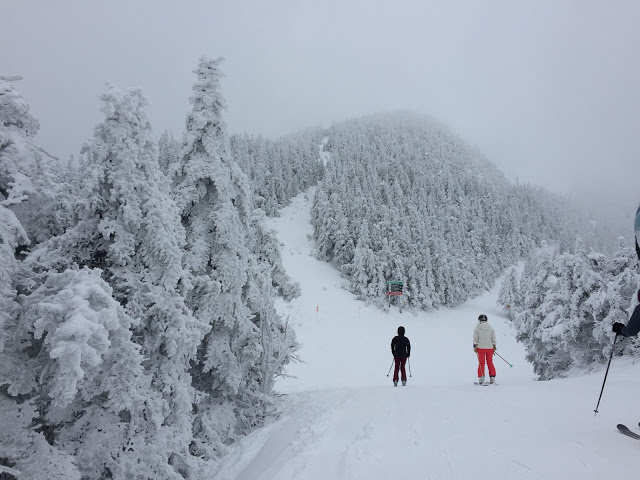 To sum it up quickly, Stowe Mountain Resort was rated the #1 Resort in the Eastern U.S. as ranked by both SKI Magazine and Skiing Magazine. 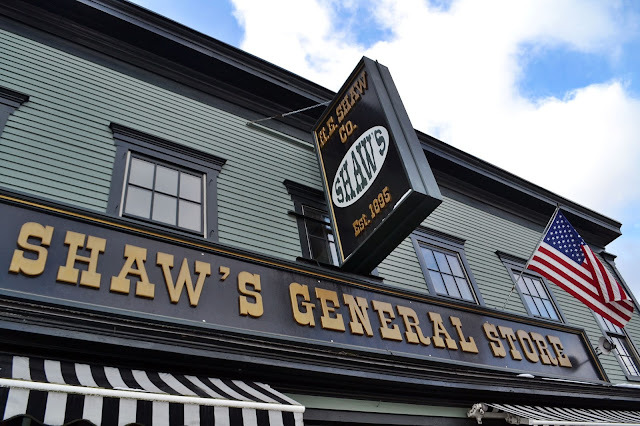 Stowe has some of the most quaint General Stores you may ever see. Old school general stores selling everything from pig shaped doorknobs to local Maple Syrup and peanut butter. Stowe Mercantile was my favorite, with old wooden floors, adorable signs, and a wall full of the most adorable drawer pulls (I left with several). 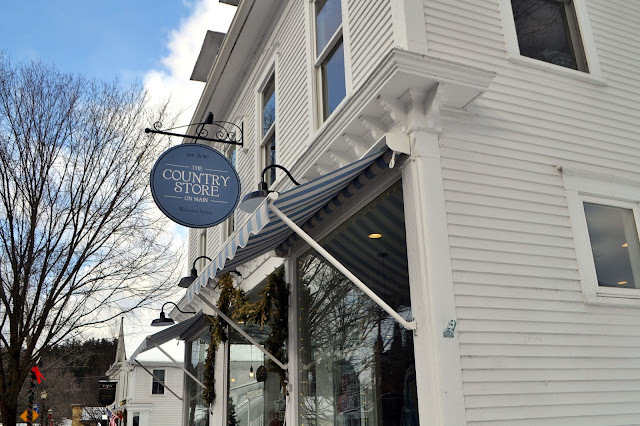 Even if you don't need to go shopping, I highly suggest you walk through the general stores and soak up all the charm of Vermont general stores. 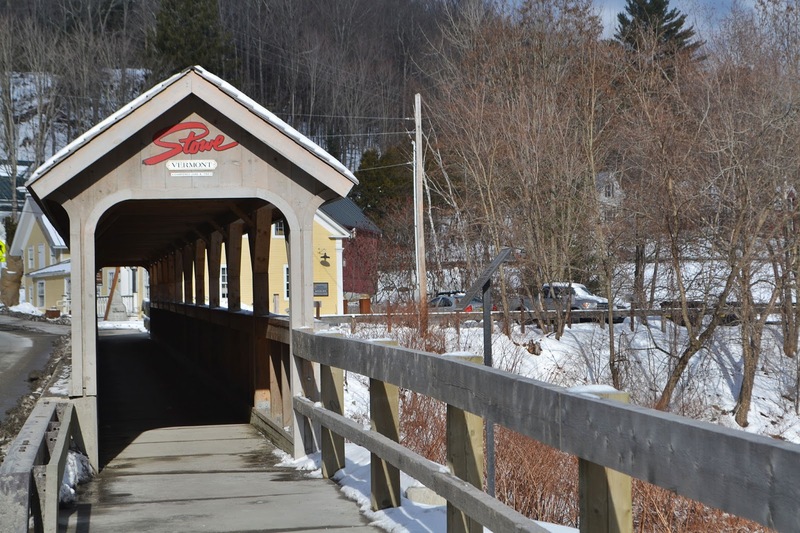 Stowe is home to a variety of coffee shops and package stores. 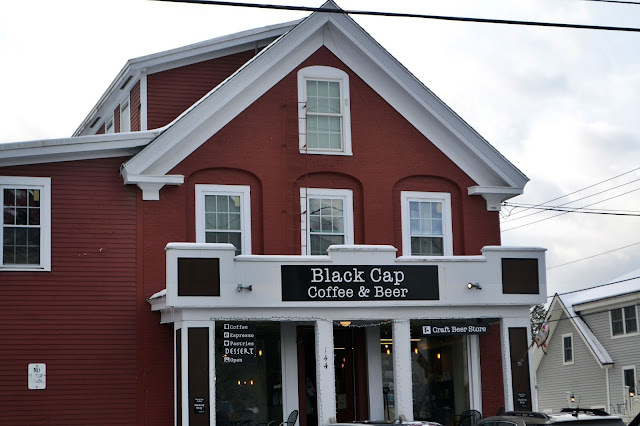 Specialty coffees and local beer can be found throughout the town and sometimes, even under the same roof. 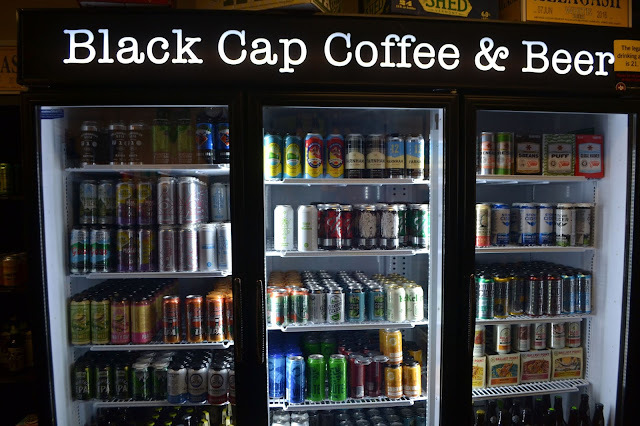 Black Cap and Coffee sells specialty coffees and pastries all while offering a huge selection of hand picked amazing craft beer from both local breweries to other breweries around the U.S (we even found some Utah beer there). If you need a hearty meal before you hit the mountain, or before spending the day in the town, then I have the solution for you. 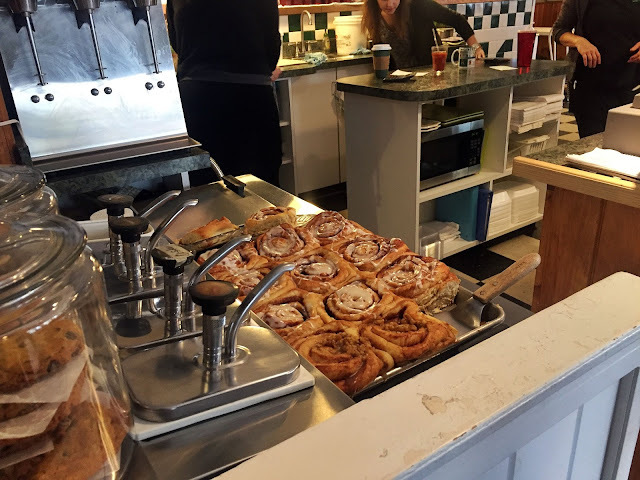 Liz and Mike took me to McCarthys Restaurant and I knew it was going to be amazing when I walked in and saw the freshly made cinnamon buns sitting on the counter. After splitting a cinnamon roll for the table, we split Stowe's version of "The Mess" (hope you got that Shack reference). Eggs, pulled pork, veggies and fried onion straws smothered with cheese and served with a side of toast. The pulled pork was cooked in a Focal Banger (Alchemist Beer) sauce and was one of the best (and greasiest) breakfasts I have ever had. 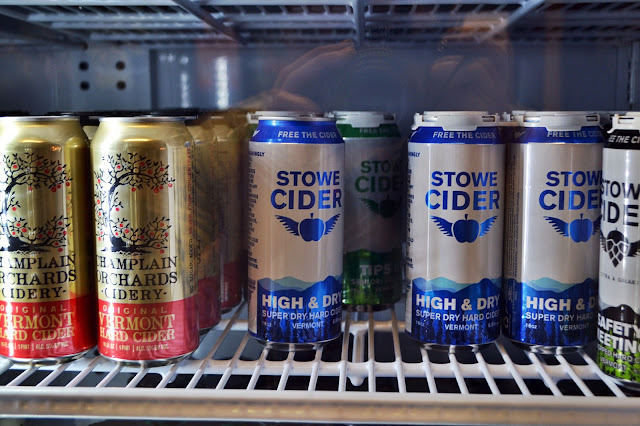 Stowe is home to several awesome breweries and cideries. While they are all well known, the Alchemist deserves a specific mention for attracting people from near and far. Heady Topper, their double IPA is obsessively sought after throughout New England. Package stores (and even the brewery itself) often have limits on how many 4 packs you can purchase. 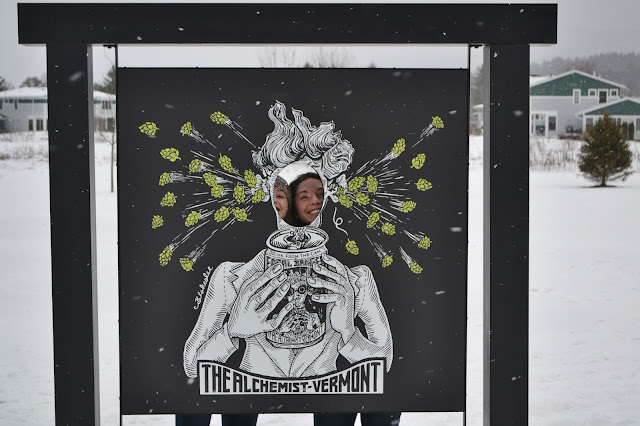 With a world class rating and Beer Advocate score of 100, The Alchemist is worth a stop when visiting Vermont. The large brewery has a small taproom where you can buy cans, swag and stop in for a free limited tasting. 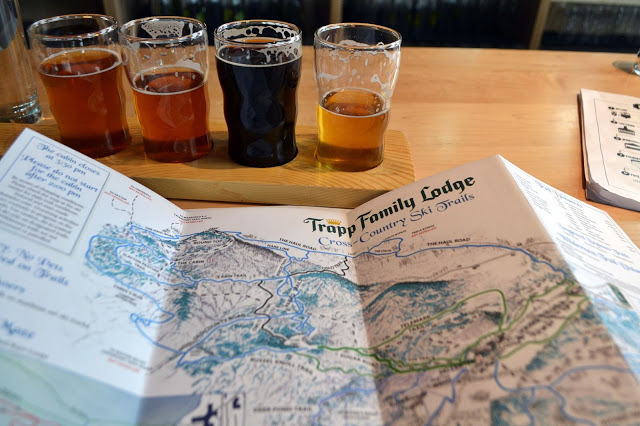 Compared to other breweries in the area such as von Trapp, the tasting room leaves a lot to be desired. It can be argued that the free tastings and "world class" beer make up for the lackluster tap room. 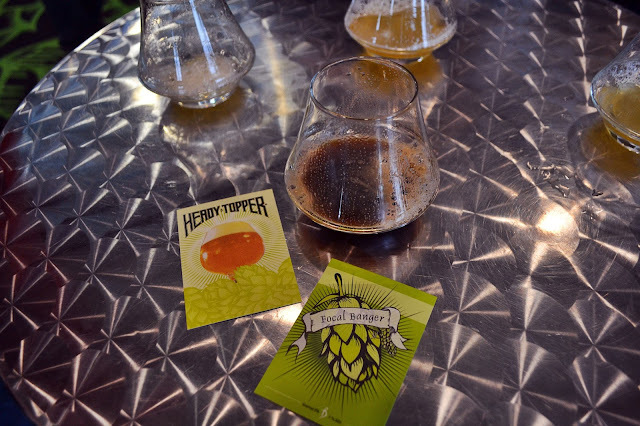 We tried the famous Heady Topper, Focal Banger, and a porter offered via sample sizes. While all were good and again, worth the visit, I couldn't help but feel that this brewery was focused on getting you in and out as quick as possible to purchase beer. That's not to say it's bad, just different than the status quo. If you want a space to relax with a flight and some food, von Trapp Brewing is for you. Again, I wrote a whole post on the awesome space that is von Trapp Brewing. While the famous Trapp Family Lodge just up the road is worth checking out, we devoted our time to the brewery. A gorgeous space featuring a range of German and Austrian style lagers. Though we did not eat here, I hear the food is delicious and there are plenty of tables throughout the space to accommodate large crowds. If you stop at any of the tap rooms in Stowe make it this one. We have heard this can get pretty busy after the lifts close, though, so be prepared. 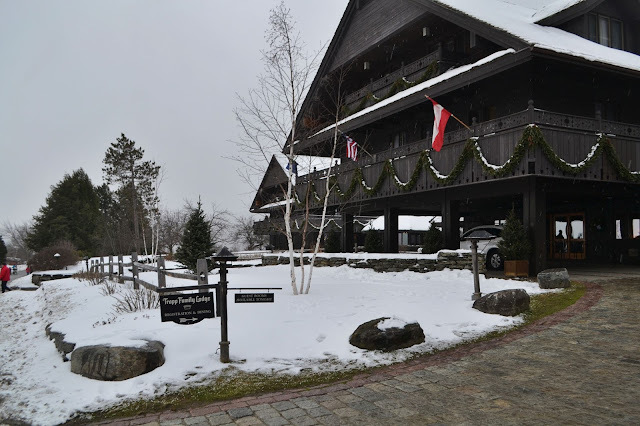 On my next trip to Stowe, I will definitely be back at McCarthys for breakfast and von Trapp brewing for beer and food. 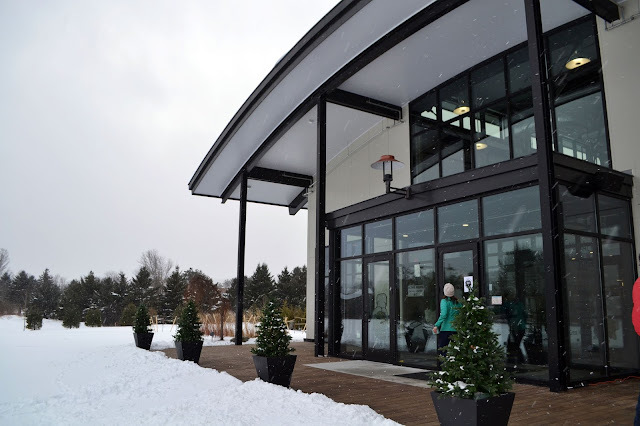 I would love to check out the XC skiing trails at the Trap Family Lodge, and head out for a run on the Recreation Trail. 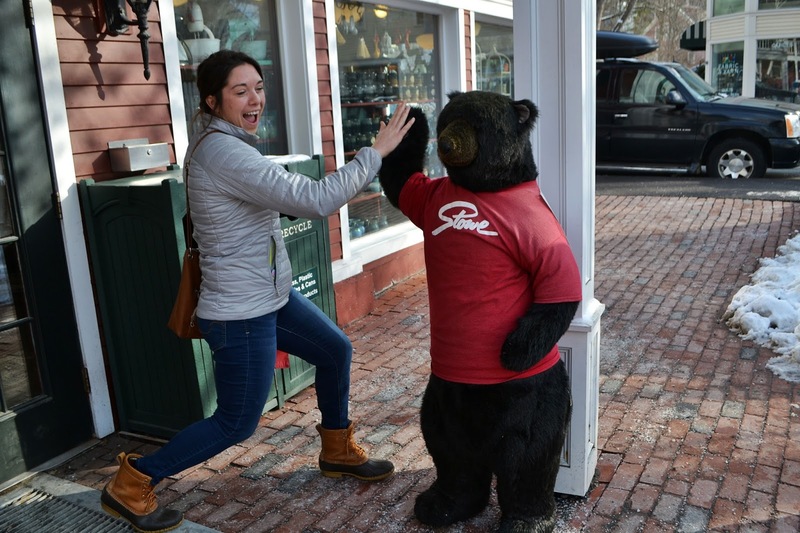 Stowe has something for everyone, and is truly a town for all seasons. Hiking and biking dominate the summer recreation season while winter brings the skiers, snowboarders and XC folk into town. As far as New England mountain towns go, Stowe is one of the best.